Located at calm and serene Kuravankonam, a short step away from Kowdiar, Artech – The Address is Kerala’s first premium branded apartments. 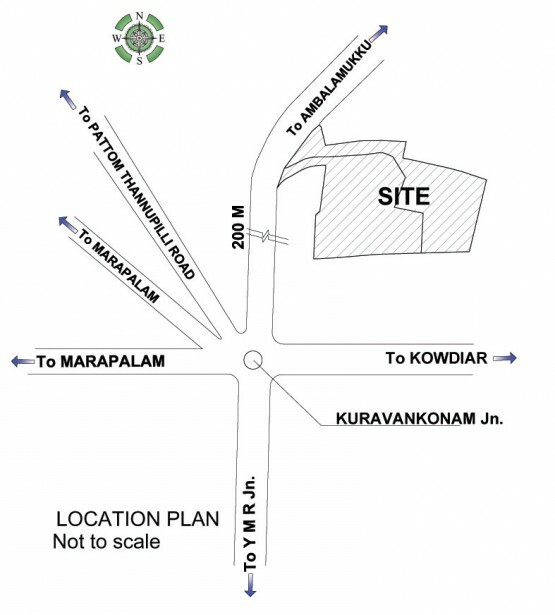 The Address is conceived to bring closer all the amenities Trivandrum offers to its residents. Proximity to the Airport ,Railway station and IT parks are just some among a plethora of privileges. The Address brings to you five unique, masterly layouts to choose from. Units are available in both 3 and 4 BHK options in sizes ranging from 1900-3800 sq ft. Each apartment in The Address features fine detailing, distinguished finishes, as well as fixtures and fittings of exemplary quality. Deep pile foundation complying with seismic 3 zone. RCC frame structure with brickwork and or concrete block partitions. (All plumbing services passing through the walls are solid block). Concrete grade and Steel grade as per structural consultant’s advice. Main entrance lobby, Lift lobby and Lift fascia (wall & floor) using composite marble / granite / vitrified tiles, as per the architect’s design. Staircases using granite / vitrified tile flooring with hand railing using matt finished SS / MS with or without toughened glass as per architect’s design. Car park Area : Grano flooring with grooves or exterior grade paving tiles. Foyer / Living / Dining using 80cm X 80cm Premium Double charged vitrified tiles (using H&R johnson / Asian). Kitchen: 60cm X 60cm premium double charged Vitrified tiles for the flooring (using H&R johnson / Asian).All Bed Rooms : Laminated wooden flooring AC4 Grade (Quick Step from Belgium). All Bed room Toilets : Designer ceramic tile concepts 30cm X 30cm for floor and 60cm X 30cm for walls up to ceiling height of 8’ 0 for the wet areas and upto 4’ height for the dry areas. Above 4’ height shall be using imported wall papers (tiles used shall be Graffiti Designer range). Toughened glass sliding partitions between dry and shower (wet) areas, (using Jaquar prefabricated fixtures). Servants Toilet : Ceramic tile 30cm X 30cm for floor and 30cm X 45cm for walls upto 8’0” height (using any premium Indian brands). Utility Room : 30cm X 30cm for floor and 30cm X 45cm for walls upto 4’6” height and 2’ above the counter if any (using any premium Indian brands). Balconies / Open Terraces / Decks : Rustic / antiskid / ceramic tiles 30cm X 30cm or Timber decking with MS / SS / Toughened Glass railings upto 1.2M heights (using any premium Indian brands). Sanitary fittings: will be of Villeroy & Boch (V&B) from Germany. EWC wall-hung model V&B – TUBE and counter top wash basin V&B – TUBE for the master bed room and EWC Wall-hung model V&B – O-NOVO and under counter wash basin model V&B – EVANA for the other bed rooms. V&B – TUBE counter top wash basin shall be provided for the common wash basin near dining area. All Sanitary wares shall be of white colour only. Sanitary wares for the common toilets and servant toilet shall be using CERA India. Concealed cisterns (concealed flushing system) will be of GEBERIT from Switzerland or GROHE from Germany. Actuator plates shall be in CP Finish dual flushing system. Faucets: for all the bed room toilets will be single lever concealed diverters CP finish, heavy body metal fittings of ROCA from Spain or GROHE from Germany or equivalent make. Provision for hot water connection shall be provided for overhead shower (30cm X 30cm over head rain shower for master bed toilet and multi function over head shower in other toilets, normal shower for servant toilet). Wall mounted single lever faucet make ROCA from Spain or GROHE from Germany will be provided for the wash basins, Kitchen and utility area sink. Plumbing: All water supply lines shall be in ISI marked CPVC pipes. Drainage lines and storm water drain pipes shall be in PVC, Cockroach traps make CHILLI shall be provided as gratings for all necessary locations, Health Faucet ROCA from Spain or GROHE from Germany shall be provided near EWC in all the toilets. Stainless Steel Sink multi bowl with drain board of make NIRALI / FRANKE shall be provided for the kitchen and stainless steel sink without drain board shall be provided for the utility areas. Towel rods, towel ring, soap dish shall be provided inside the toilets. Window shutters: Prefabricated colour anodised aluminum sliding shutters by BHORUKA Aluminium Products. One pane of Insect screen also shall be provided in each window. Door Frames: Main door frame and shutter shall be of seasoned teak wood. Outer and Inner face to be PU coated and finished as per the Architects design. Door Shutters: All internal door frames shall be of seasoned teak wood / hard wood with flush door shutter by BARAUSSE from ITALY. All internal and external faces shall be melamine finish or Paint finish as per the Architects design. Hardware: All hardware shall be in C.P Brass, tower bolts, doorstoppers, ball bearing hinges. Locks shall be mortise of DORSET / YALE make from USA. Entrance door shall have hardware such as, Magic Eye, Safety Chain, Door Stopper and a BIO Metric lock from YALE. All lintel heights and Doors are at a height of 240 cms (8’). Concealed copper wiring using FINOLEX / V-GUARD / HAVELLS make cables with modular plate switches, centralized cabling system for all electrical and communication requirements. Wiring shall be done for lighting, 5Amps, 15 Amps and AC points in the Apartment. Switches: All switches shall be LEGRAND – ARTEOR make. Generator: Power backup will be provided for all common services and selected light and fan point in each living, bedrooms inside apartment and a refrigerator point, plus additional one 5Amp plug point in the Kitchen, one light point in all the toilets, one 5Amp plug point at Living for emergency charging of devices shall be provided (Air-conditioning and Geyser points and other 15Amp points will not be considered for the power back up).Light fixtures for the Common areas, external areas, apartment balconies and at entrance door of the individual apartments shall be provided. All light fixtures shall be of PHILIPS / HAVELLS. Adequate ELCB and MCB shall be provided in each apartments SIEMENS / HAVELLS. Provision for the GEYSER points and fresh air fans shall be provided for all toilets. Provision for telephone and Internet shall be provided in the living room and master bed room. Provision for Cable TV / DTH shall be provided in the Living and Master Bed room. Apartments shall be fully air-conditioned using individual split air-conditioners or VRV systems or combination of both. Equipment and installation shall be done by DAIKIN / CARRIER / PANASONIC. Terrace gardens with sunken slab and waterproofing and drainage facility. 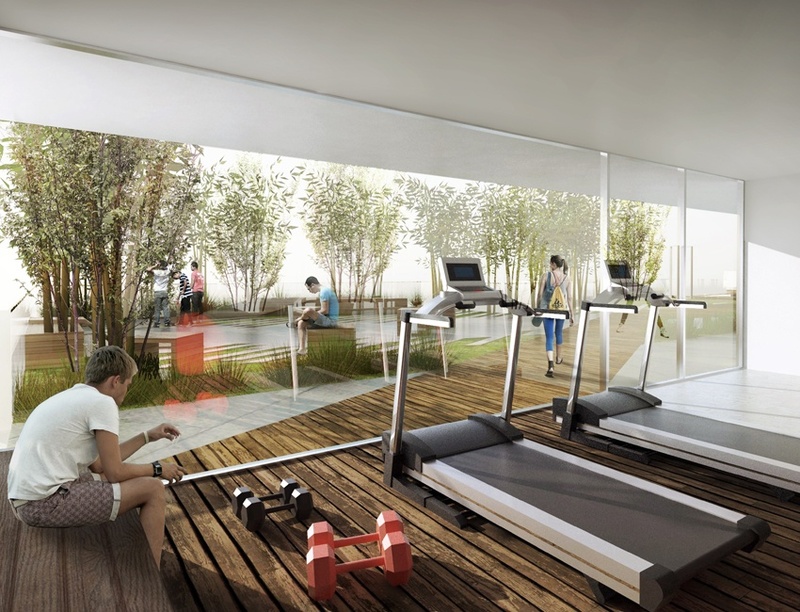 Provision for sprinklers and a drip system shall be provided for necessary common area landscaping. Interlock Pavers to be laid in driveways and walkways. Hard and soft landscaping shall be provided as per the landscape consultant’s design. Work status as on 10-​02-2018, we have completed the following. The handing over ceremony of Artech The Address was done on March 29, 2018, at 4:30 pm by Mr. T. S. Asok, Managing Director of Artech. Artech The Address is the first branded home in Kerala. Located at Kuruvankonam, it is the residence of the privileged. It is equipped with the most advanced lifestyle amenities that assure an enjoyable life. They say that the best way to the heart is through the stomach; having access to a variety of good food within your residential location is a very important factor for the current generation. With both sets of parents working, it does become difficult to provide good wholesome food for the family sometimes. This is probably one reason why people would love to buy a home in Kuravankonam – the easy availability of a bounty of classy, multi-cuisine restaurants. Another more significant reason is the prestige associated with Kuravankonam, along with the lower traffic volumes and pollution levels. Apartments in Kuravankonam sell off like hot cakes as everyone wants to live at addresses that silently blare out your social standing in society. One of the best features of Kuravankonam is its easily accessible from many other important locations within Trivandrum city. Aside from having the Central Railway Station, Central Bus Station and numerous public parastatals within easy reach, residential areas like Kowdiar, Ambalamukku, Nanthancode, Pattom, Kesvadasapuram and Medical College areas can connect easily to Kuravankonam too. And when buying homes, it’s always best to look out for branded builders as home-buying is an expensive venture and no one wants to be taken for a ride. 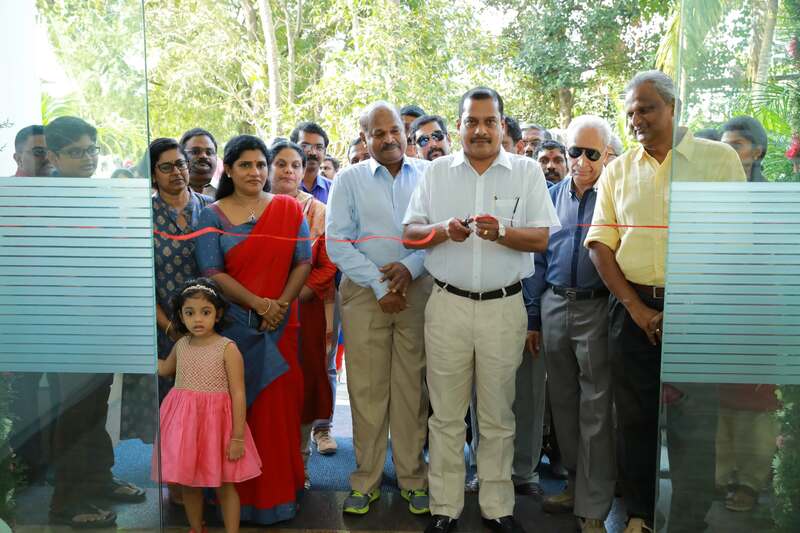 This is another reason why Artech apartments in Kuravankonam are attracting a lot of attention. Artech has a number of premium flats in Kuravankonam that are available for the savvy homebuyers who know the value of living in such a prestigious location.